We did not catch anything but I loved that my dad came with me. 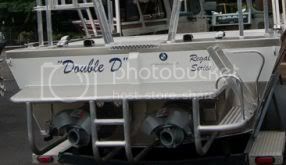 I would even break down and let poles on the Double D if my Dad or my Son could come fishing with me. Enjoy the moment, they pass by too soon! Cherish your dad, some of us do not have one to do things with. I'm lucky that my three main partners are my 19 yo son, my father and/or my wife. I get out on the water about once a week. I lost my mom on may 15th and my dad on the 4th of July this year just got back from cj strike where we all fished on my north river for the last 4 years . I'm glad he came up and we had really good trout fishing in magic reservoir are last trip out.